A 2017 Survata survey found that 49% of customers start their product searches directly on Amazon. Considering that fact, how do you make sure Amazon customers see what you’re selling? The answer is search engine optimization (SEO), but not in the traditional sense. Let’s dive in a little more. Google and the other major search engines classify web pages, videos, images, and listings based on what their algorithms determine are most relevant to users. This ranking also depends on the quality and accuracy of the content delivered in response to an individual’s search. Google considers links, history, social media accounts and other signals to determine the relevance of a webpage and where it should rank. With the help of an SEO specialist, a brand new site can achieve top results by integrating relevant keywords, compelling content and social media marketing. SEO is a little different when you’re an Amazon seller. Amazon’s search algorithm looks for the product listings that most closely match what a customer is looking to buy. It does not consider links, search history, social media accounts, and other offsite signals. Instead, the search algorithm tries to optimize for sales. On Amazon, your search ranking is based exclusively on factors within the marketplace: your product listing, sales history, Sponsored Ads, shipping options, relevant keywords, and customer reviews, to name a few. 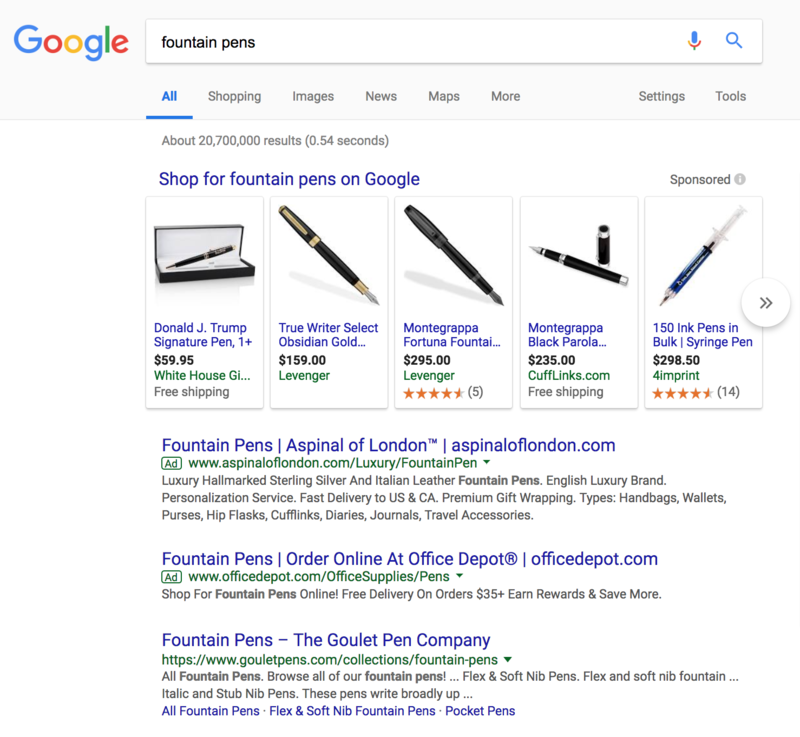 For e-commerce SEO, a relevant keyword only needs to appear once on Amazon, which means your top essential keywords should go in the title, your other keywords in your description, and then the details and bullet points. 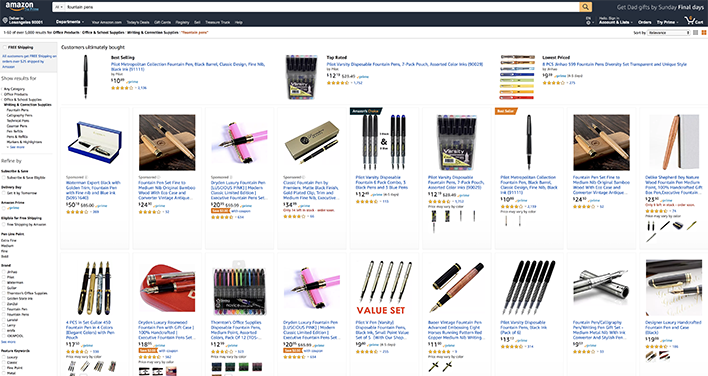 Keep in mind that even with full SEO, Amazon always lists the latest best-selling products at the top of the search engine results page. And, if a product is out-of-stock, your listing will fall way down on the list of search results. 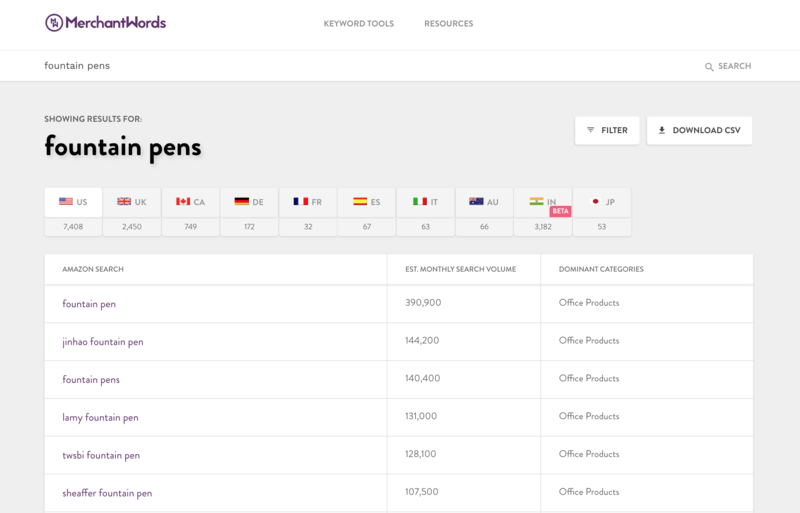 Tools like MerchantWords can help you build the best Amazon listing and give you accurate keyword data. However, if you have hundreds of products in your store, using MerchantWords to research all of them might seem overwhelming. That’s where the MerchantWords Listing Advisor service comes in. We handle all your market and keyword research for you, as well as the content development. Our expertise and clear focus on increasing sales and visibility will make your listings awesome without you lifting a finger! By continuously optimizing your listings, having a social media marketing program, and keeping an eye on your inventory levels, you’ll be on the path to reaching the right customers in no time.